Hopping on a plane is certainly one of the faster ways to travel the world but there's always room for improvement. This is a sentiment NASA seems to agree with if their latest announcement is anything to go by. Today, the agency announced their decision to award a development contract to Lockheed Martin Aeronautics Company (LMAC). 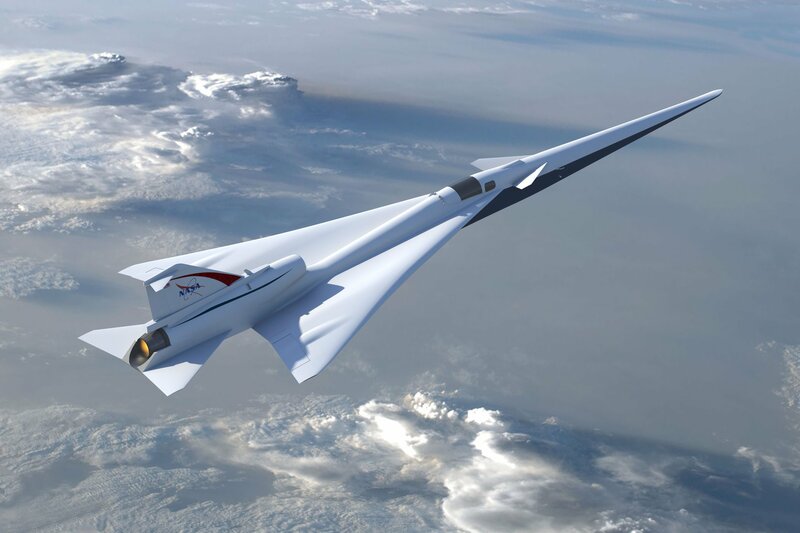 The California-based company has been tasked with developing a "Low Boom Flight Demonstrator," (LBFD) an experimental aircraft that could achieve near-silent supersonic travel. NASA's ultimate goal with the LBFD is to bring supersonic flight to consumer markets, allowing for quicker transit than ever before. As Engadget notes, such technology in a consumer plane could open the door to flights as fast as two hours between cities like New York and Los Angeles. ...the agency will fly the LBFD over select US cities, asking residents whether or not they heard anything after the fact. LMAC will be working within a $247.5 million budget to develop the experimental aircraft. After receiving the finished aircraft sometime in 2021, NASA will conduct a series of test flights to ensure the technology is working as intended. Later, in mid-2022, the agency will fly the LBFD over select US cities, asking residents whether or not they heard anything after the fact. As interesting as this technology sounds, LBFD technology likely won't be making its way to your local airport anytime soon. NASA will still have to get through quite a bit of red tape currently preventing supersonic flights from taking place over land.